Viivikonna, reads the battered sign protruding above the tall grass, around it lay the crumbling and vandalized remains of another once proud Soviet industrial city. However all is not quiet here as through the breeze drifts the sound of a diesel locomotive and with a blast of the airhorn the silence is broken as a heavy freight train rumbles through town. 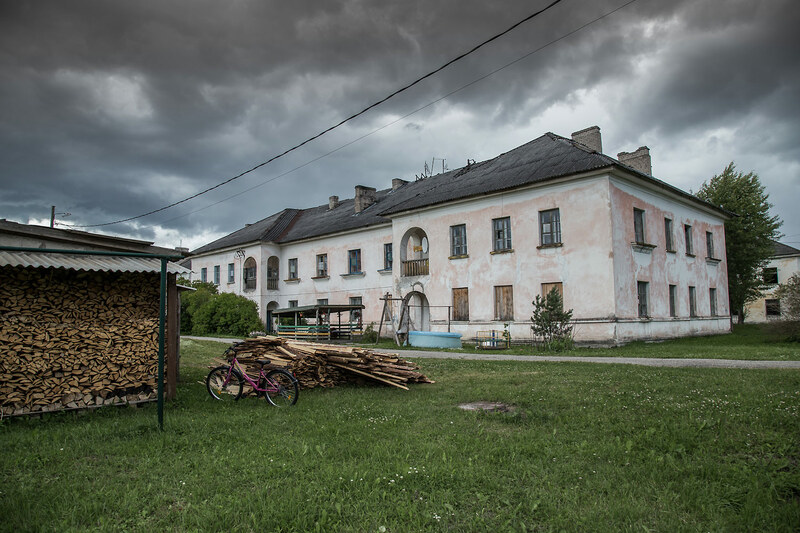 Welcome to the boom and bust world of Estonia’s oil shale country. The far northeast corner of Estonia is dominated by the oil shale mining industry, oil shale is a category of sedimentary rocks which can be burned as low grade fuel. It is more expensive and environmentally damaging to produce than regular crude oil but due to Estonia’s vast resources and more recently a desire to limit reliance on Russian fuels the shale oil fields of Estonia have been heavily mined for over a century. Today oil shale accounts for 85% of Estonia’s energy production and will continue to do so until reserves run out in 25 to 30 years by which time hopefully the country will have been able to implement enough clean power sources. 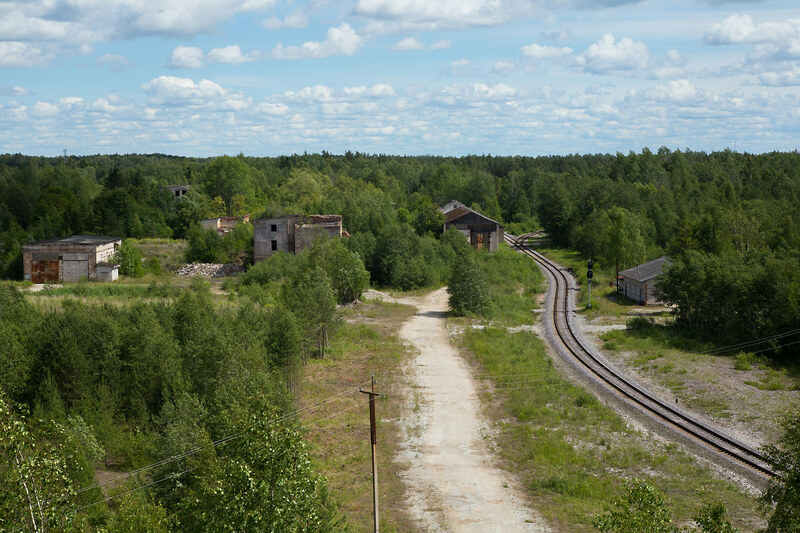 Oil shale mining in Estonia dates back to 1800’s but it was not until World War II that the industry was seriously developed. 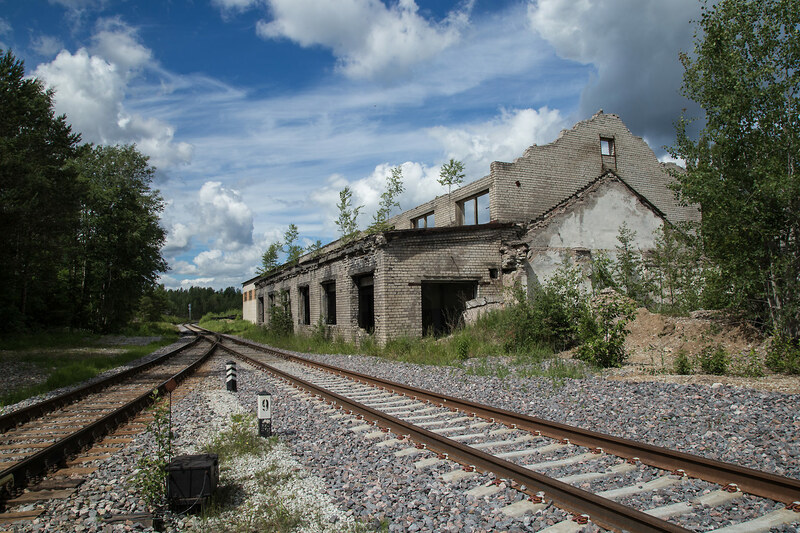 Before the war Estonia had begun mining and refining oil shale into gasoline for export as well as converting one power plant to burn oil shale, however in 1941 the German army occupied Estonia and suddenly shale oil became a vital resource for the war effort. Germany lacked its own oil reserves and such such the Estonian oil shales provided a vast new supply to power the army’s advance into Russia. As the Soviets retook Estonia the retreating German’s destroyed Estonia’s shale oil infrastructure but it was not long after that it was rebuilt by the Soviet often using German POW labor. The Soviets began a massive expansion of the industry and suddenly sleepy villages like Viivikonna were transformed into boomtowns. 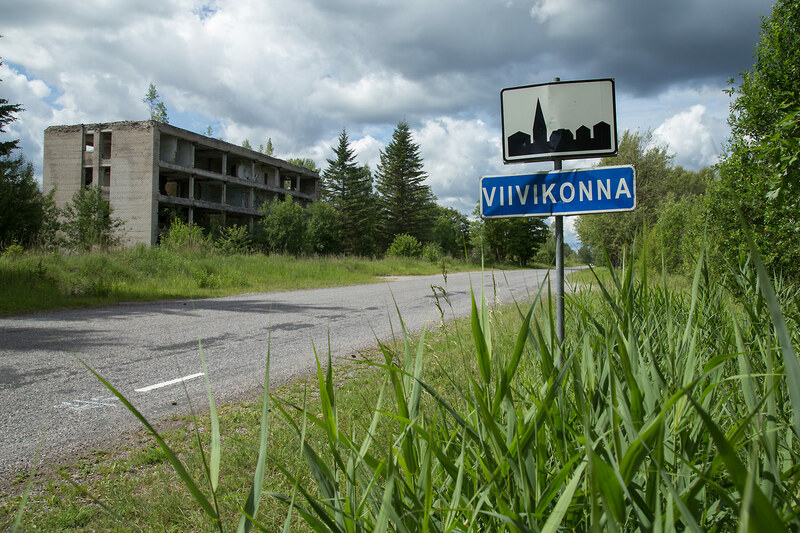 Oil shale extraction reached its peak in the 1970’s and at the beginning of the decade Viivikonna was reportedly home to over 2000 people. 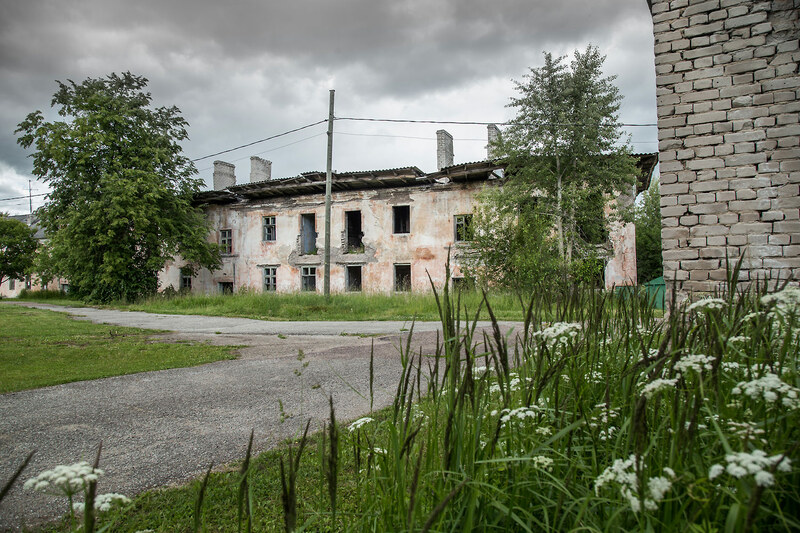 But then the winds of change shifted again, massive new nuclear plants in Russia displaced shale oil as the primary source of energy in Estonia and some mines were shuttered. Suddenly the need for such a large mining town had diminished and people began leaving. The collapse of the Soviet Union in 1989 was the final nail in the coffin for Viivikonna as exports to the rest of the former Soviet Union dried up and the collapse of state funded industries lowered the demand for power production. 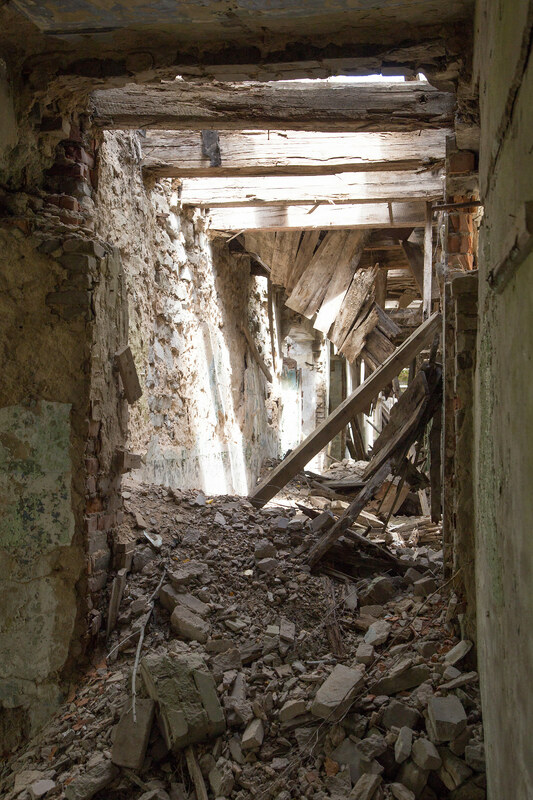 Today the shell of the town is still home to around 90 people who live in partially abandoned buildings, devoid of central heating as evidenced by the stacks of firewood. 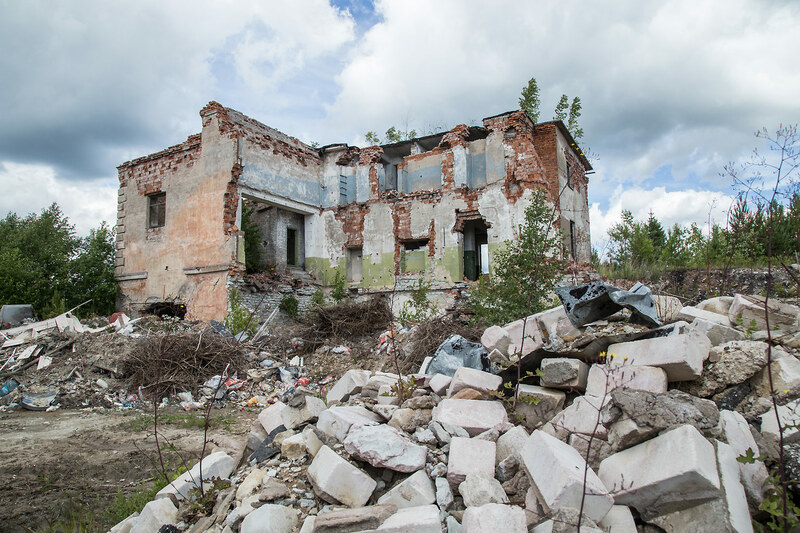 A large Soviet style apartment on the outskirts of town greets you as you enter the city, now devoid of walls and any metal that could be salvaged for scrap. Further into town the older 1950’s buildings constructed by German POW’s have fared better and signs of life are visible everywhere, one feels like an intruder here treating people’s neighborhood as a bizarre tourist attraction but the draw is irresistable. 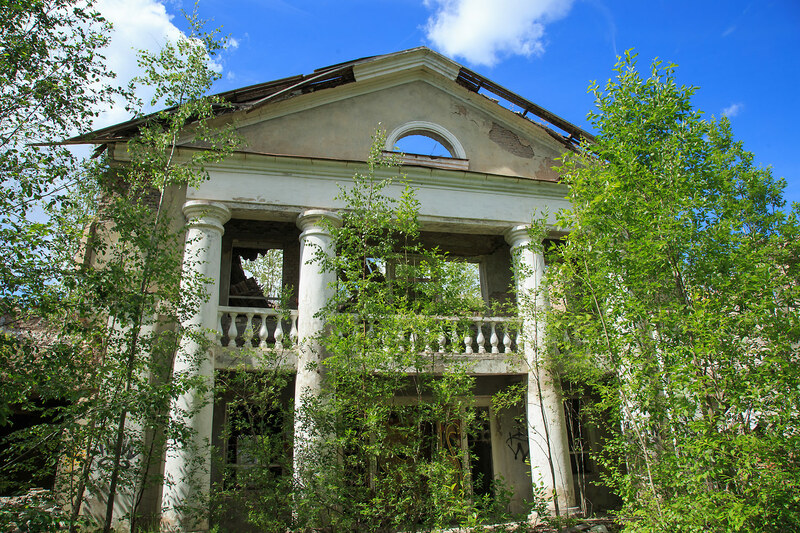 Some buildings appear still in good shape while others look ready to collapse at any moment, the life among the ruins makes it all the more surreal. But oil shale mining didn’t die with the Soviet Union, actually after the initial shock of the post Soviet industrial collapse the industry rebounded. Estonia happy to be independent after decades of various occupations reinvested in the oil shale sector to achieve energy independence from Russia nuclear power and oil. But mechanization and the smaller open cast mine meant there is no need for the large town anymore, the industry may be booming but Viivikonna won’t be returning to its former glory. Just east of Viivikonna we encounter a stopped westbound oil shale train stopped at one of the smaller loadouts along the line. Soon a eastbound rolls into the siding and the eastbound throttles up. 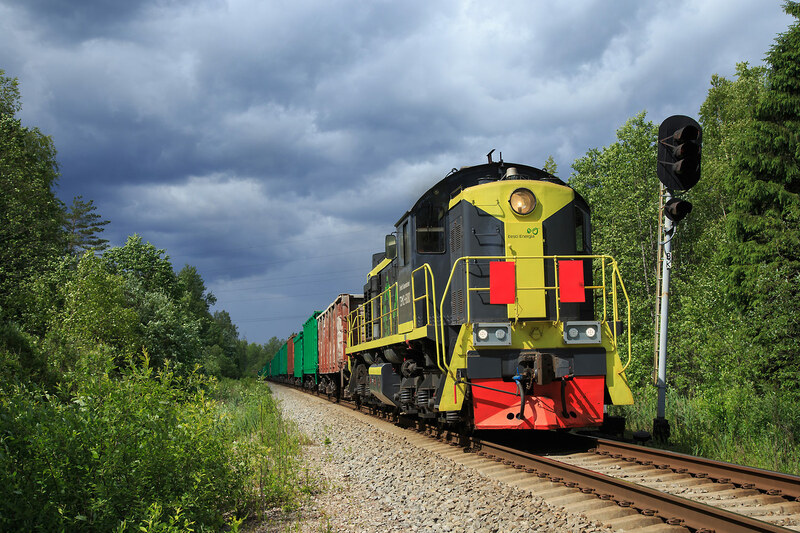 The locomotives are more relics of the Soviet Union that also had their start in WW2. During the war American Locomotive Company (ALCO) provided 70 RSD-1 locomotives as aid to the Soviet Union, primarily for use on the Trans-Iranian Railway. 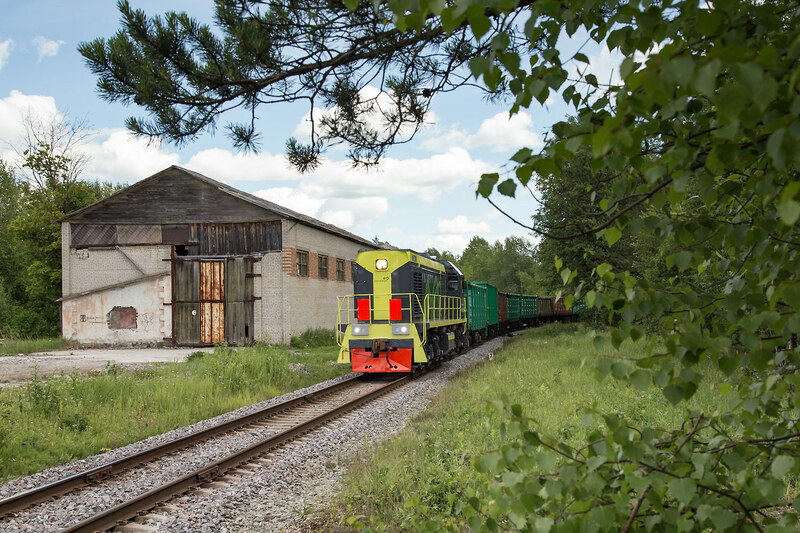 The Soviets were impressed by the design and kept a number of locomotives after the war and reverse engineered them to form the basis for their own early diesel locomotives. After a number of improvements and modifications the Soviets arrived at the TEM2 design of which they went on to manufacture over 8000, not bad for a copy of a relatively unsuccessful US diesel. 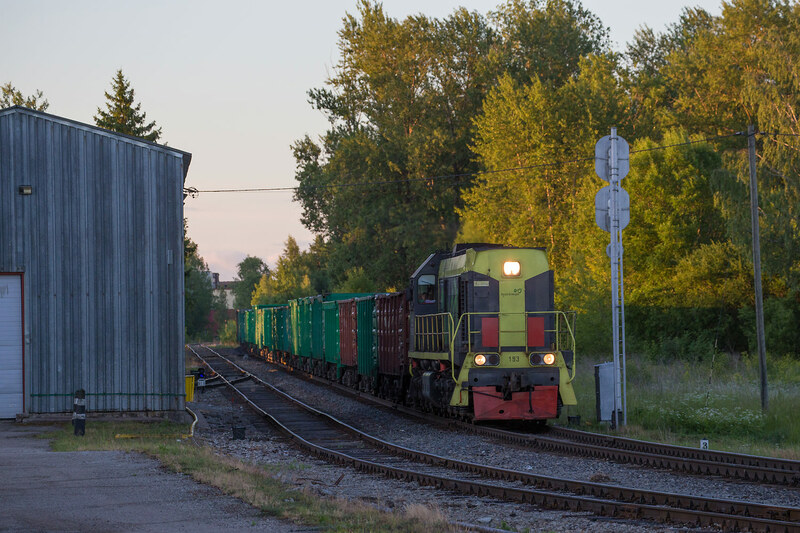 TEM2s can be found all over the former Soviet Union and as far away as Cuba, they come in two distinct styles, the early production models which look very similar to their ALCO origins with rounded cabs and hoods and the later more boxy variant with a higher long and short hood. Hearing the early model unit depart the passing siding the dark clouds of exhaust and distinct ALCO 539 whistling turbo sound left no doubt to its lineage. Trains on the oil shale lines do not run fast so we easily caught back up as the train entered town, the hill behind the train is not a natural feature but rather one of the many spoil mounds that provide the only relief in the otherwise flat terrain. The artificial hill provides a nice view of the ruins, one can see how flat the rest of the landscape is from here, in most places such a small hill would not offer such a sweeping vista. Up ahead is the junction between the line to the mainline connection at Vaivara and the mainline south to the massive Narva generating station. 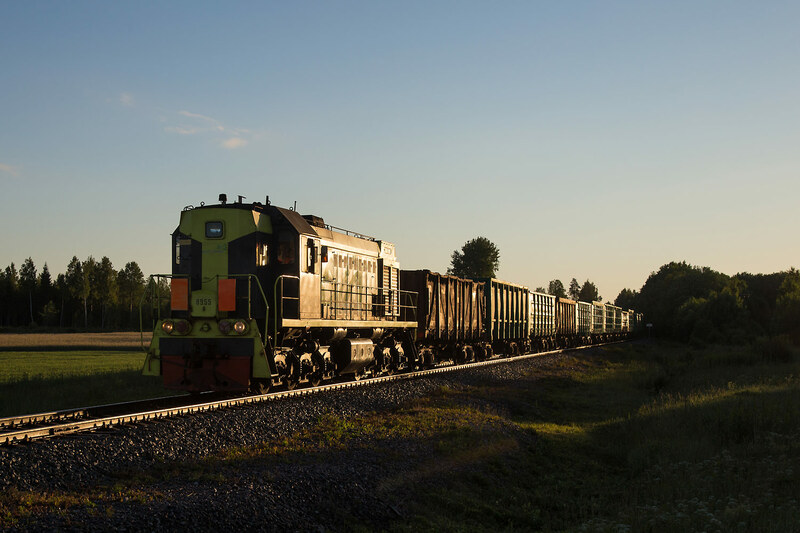 Despite being connected in two places to the national rail network the oil shale lines are essentially insular and a glance at the rails to Vaivara will find them covered in heavy rust. 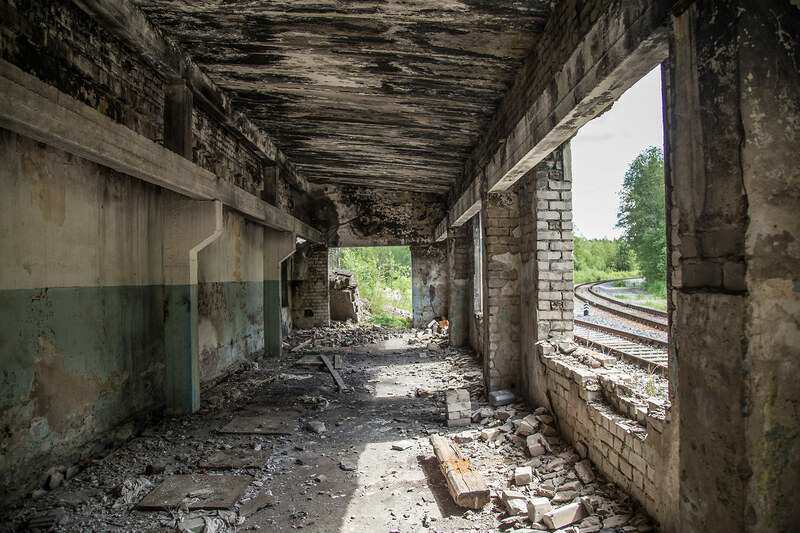 The junction is lined with more abandoned buildings that have been stripped of anything with scrap value leaving just crumbling concrete shells. Further back in the weeds is the former Cultural center, built in grand Stalinist style, it was always a facade, decoration on a concrete shell but today there truly is very little behind the facade, I dared not venture two far inside as parts of the structure had almost completely collapsed. Viivikonna may be a ghost town but the railway certainly isnt, our eastbound is shortly followed by a westbound loaded train behind a second generation TEM2 and then awhile later by another loaded eastbound with a another ALCO style early TEM2. 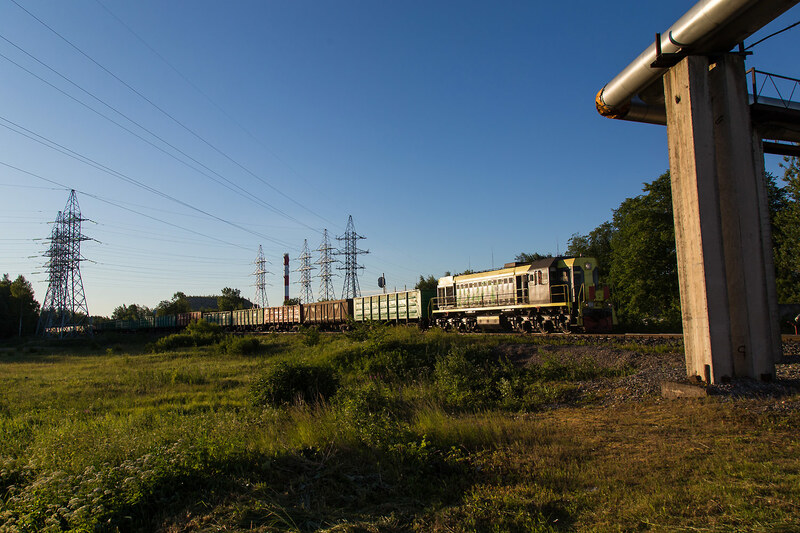 The trains run around the clock shuttling oil shale primarily between the massive Väike-Pungerja mine (the largest oil shale mine in the world) and the Narva power station, also the largest shale oil generating station in the world. 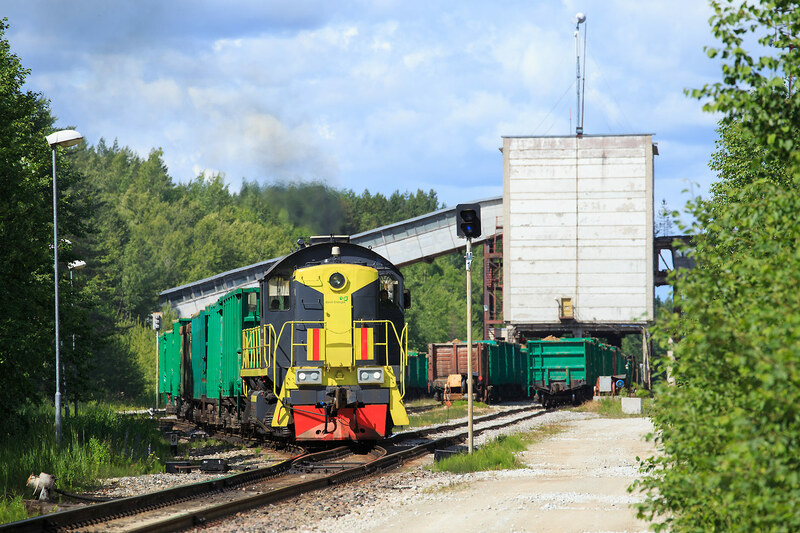 Access is limited due to private property and the general remoteness of the region, however Ahtme Yard also provides a good spot to witness the action. 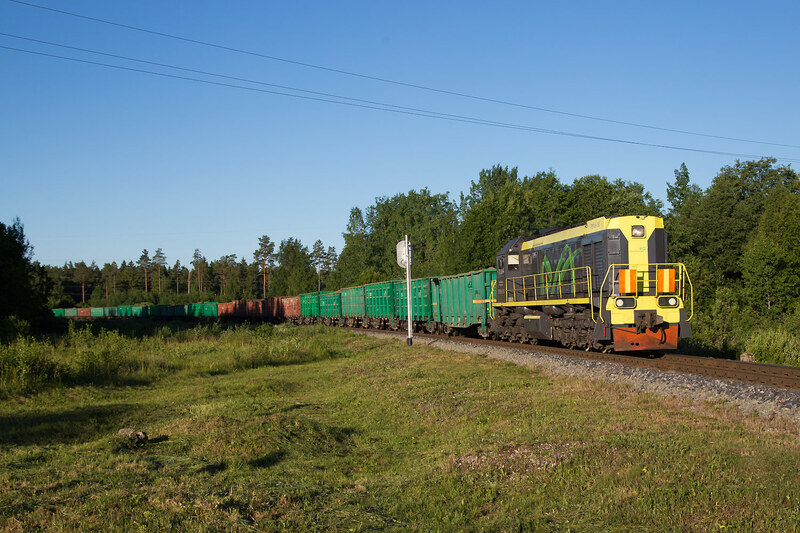 Here the trains that pass through Vivikonna stop at Ahtme to swap empties for loads which are brought up from the Väike-Pungerja mine located a few kilometers south. At one point the lines extended further west but these are now out of service after the oil shale reserves were exhausted. 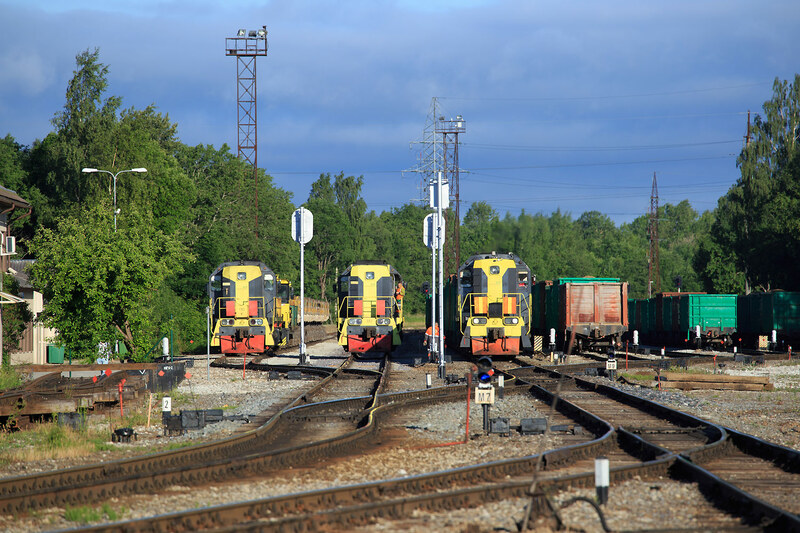 The yard can be a major hub of activity and in a few hours in the morning I witnessed the 4 movements on the line to Väike-Pungerja as well as the arrival of a empty train from the Narva generating station. Early morning activity in order 1.) Inbound loaded train arrives at Ahtme, 2.) Outbound empties departs as soon as the loads are in the clear. 3.) Empty train from Narva arrives. 1.) Empty train approaches the Väike-Pungerja mine in the early morning light. 2.) Same locomotive returns half an hour later with loads. Below: late model TEM2s congregate in Ahtme. 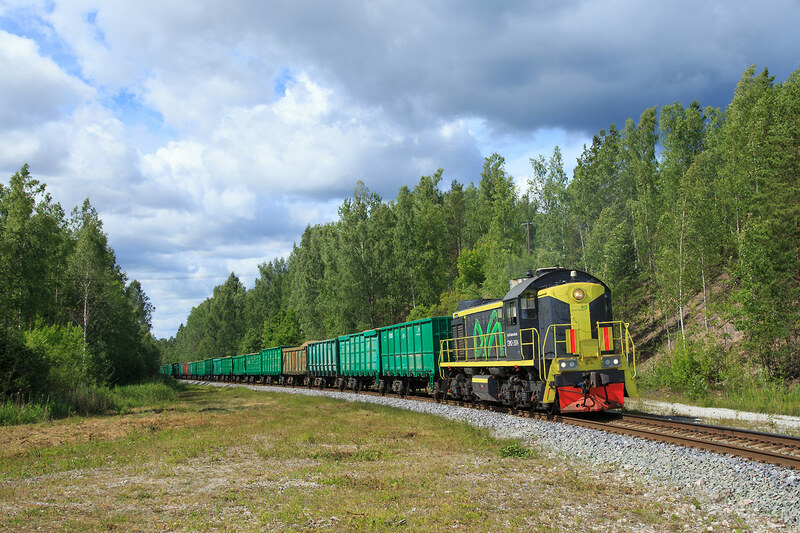 The oil shale lines are not to be missed on a visit to Estonia, one can see up to 10 trains a day all powered by the venerable TEM2 locomotives. Make sure to leave some time to explore the remains of Viivikonna too as its a truly fascinating place. Due to having to return my rental later in that day I regrettably could not stick around longer to explore more buildings, there is much more to see than what I have photographed. I want to thank Martin (dieselrong on YouTube), without his guidance I would have had no clue about these lines. He has several very nice videos on youtube documenting these lines including this ride along of the whole line, check it out here. You have documented one part of Estonia! In India, no one knows where Estonia is! People in T’Nadu know about shale oil!Thank You for this write up and the photographs!!!!! !